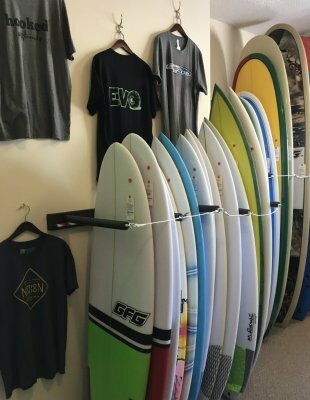 Surfboard, skimboard and bodyboard rentals are easy at Banks Surf Supply. We are located conveniently across from the Gray Eagle beach access one block North of Jennette's Pier in Nags Head, NC. Once the board is in your hands, you are just steps away from catching your first wave. For the beginning surfer, we have a selection of sizes in quality soft top surfboards so you can feel safe while learning to glide into that first wave. Offering great stability with soft decks, rails and fins these boards are the perfect platform to get started. Heck, when it's small in the Summer you might just catch us riding one of these. 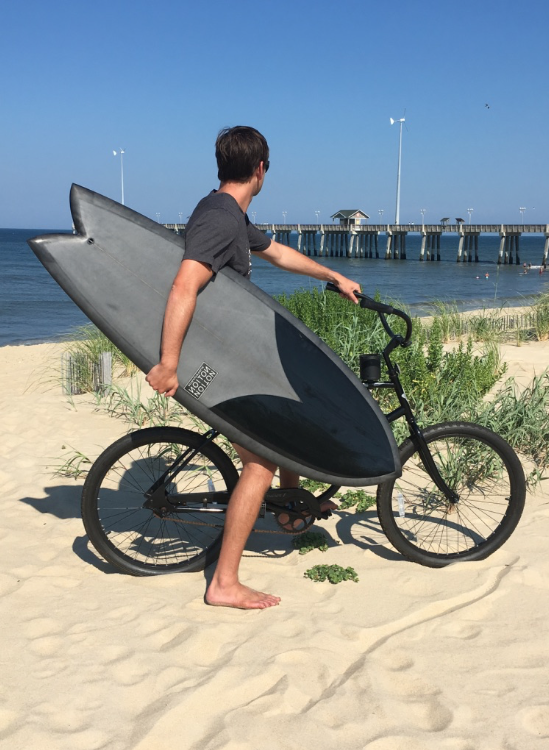 Have surfing experience but forgot to bring your shred sled with you? We have an ever growing assortment of surfboards from our fine local shapers and would love to get you matched up to the right board for our excellent beachbreak conditions. Shortbus Skims out of Buxton, NC(about an hour south of us) produces a vacuum bagged epoxy skimboard that we'd stack up against any of the internationally known brands. Rent one of their pro models from us and you'll be back to get one of your own.